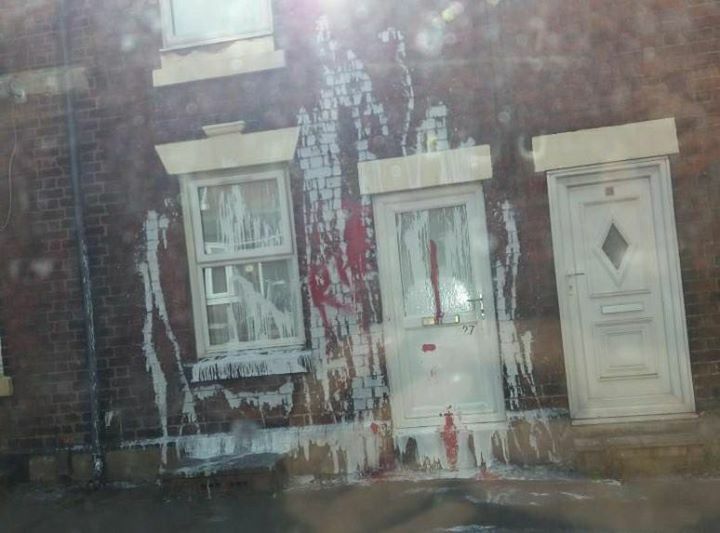 A home in Oakengates has had red and white paint thrown up the brick walls overnight. 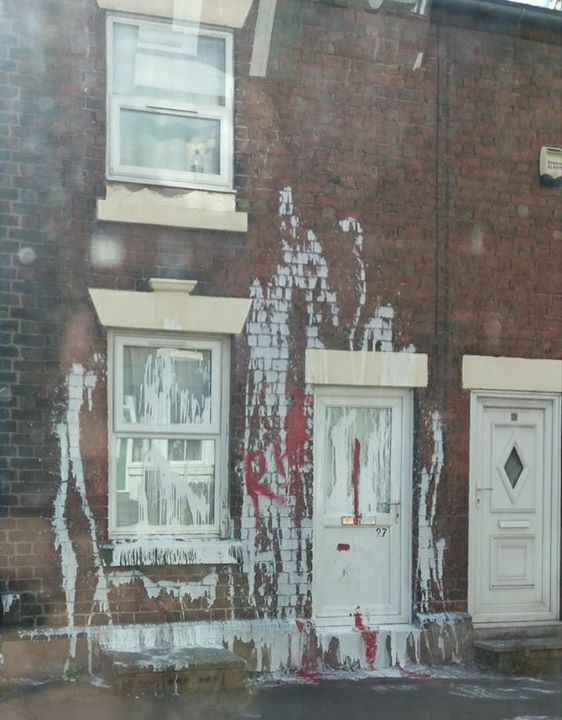 So much paint was used in the attack that it also covering the pavement. 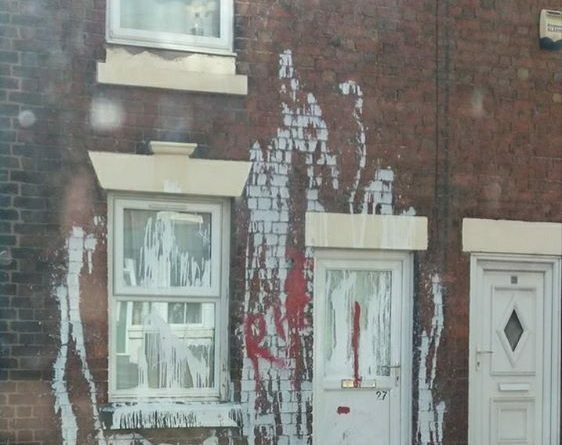 The people who caused the damage must be covered in paint too. There’s some letters, looks like RH. Clearly pissed someone off anyway.